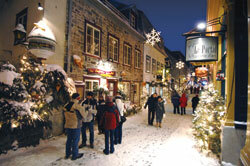 The first night is spent in romantic “Old Quebec”; a four hundred year old section of Quebec City. 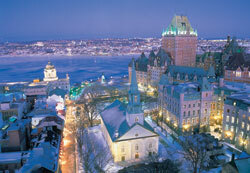 Founded in 1608 by Samuel de Champlain, Quebec is a city overflowing with European charm. We recommend that our clients arrive in the early afternoon, allowing plenty of time to see this historic city. In “Old Quebec” there are many galleries, boutiques and museums to take in, all within walking distance of the hotel. 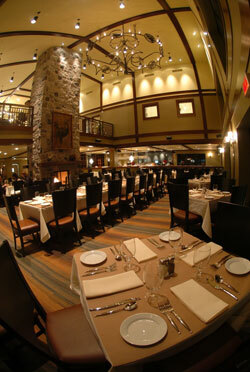 The restaurants range from a casual bistro, to the very exclusive. With so much to see and do in a relatively short time frame, we can help construct a plan for you to see the things most important to you. Let’s get on the trail! 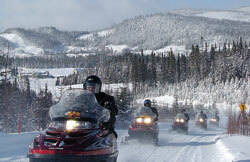 Imagine that you are the pilot of a snowmobile, riding on a seemingly endless trail of white gold. The snowmobile responds to your commands as the trail unfolds before you. Images of this pristine and ever changing countryside are seared into your mind. The snowmobile suit acts as a barrier to the elements, and occasionally a snowflake finds your nose, a reminder that it is in fact cold outside. As the trail crests a mountain, the distant auberge announces itself with its distinct smell of a wood fire blended with crisp air. 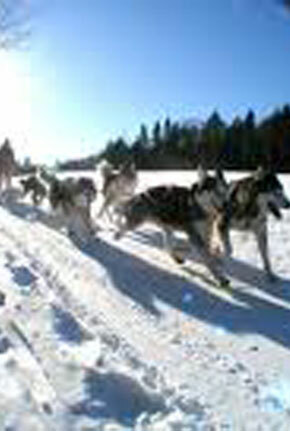 Pull up to the auberge, unpack the sled and step inside, the next phase of the experience is here. Gather around the fire. 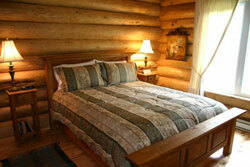 After a day of enjoying the outdoors, the interior of a warm chalet is a welcome sight. 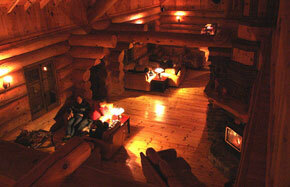 Once settled into your room, there is time to simply relax by the fire or mingle with others. 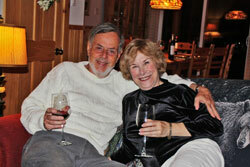 Usually, dinner is served on the premises, just a short walk down the hall. An outdoor Jacuzzi is available at some of our stops. 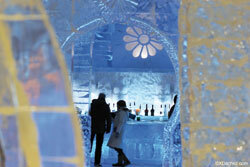 The Romance Trip includes a one hour guided tour of the Ice Hotel. We ride the trail to the hotel and park our snowmobiles in a reserved area. Inside, it’s a consistent 24 degrees Fahrenheit, so our snowmobile suits keep us very comfortable. 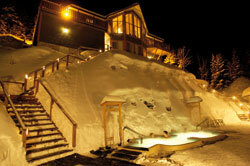 The hotel features more than twenty actual rooms made of snow and ice. The ice sculptures and carvings inside are very impressive. A number of weddings are held each year inside the Ice Hotel’s Chapel. How unique!